Timbre is the quality of a musical note or sound that distinguishes different types of sound production or musical instruments. The physical characteristics of sound that mediate the perception of timbre include spectrum and envelope. Timbre is also known in psychoacoustics as sound quality or sound color. For example, timbre is what, with a little practice, people use to recognise the saxophone from the trumpet in a jazz group, even if they are playing notes at the same pitch and amplitude. Timbre has been called the psychoacoustician’s multidimensional wastebasket category as it can denote many apparently unrelated aspects of a sound. 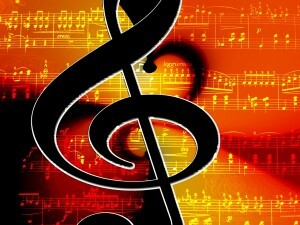 ….”One of the basic elements of music is called color, or timbre (pronounced “TAM-ber”). Color includes all the aspects of a sound that do not have anything to do with how high or low it is, how loud or soft, or how long or short. In other words, if a flute plays a note, and then an oboe plays the same note, for the same length of time, at the same loudness, you can still easily tell the two notes apart, because a flute sounds different from an oboe. This difference is the color of the sound. Timbre is caused by the fact that each note from a musical instrument is made up of more than one sound wave. Tone color is also often used as a synonym. People who experience synesthesia may see certain colors when they hear particular instruments. Helmholtz used the German Klangfarbe (tone color), and Tyndall proposed its English translation, clang tint. But both terms were disapproved of by Alexander Ellis who also discredits register and color for their pre-existing English meanings (Erickson). Colors of the optical spectrum are not generally explicitly associated with particular sounds. Rather, the sound of an instrument may be described with words like “warm” or “harsh” or other terms, perhaps suggesting that tone color has more in common with the sense of touch than of sight. The richness of a sound or note produced by a musical instrument is due to the combination of a number of distinct frequencies. The lowest frequency is called the fundamental frequency and the pitch it produces is used to name the note. 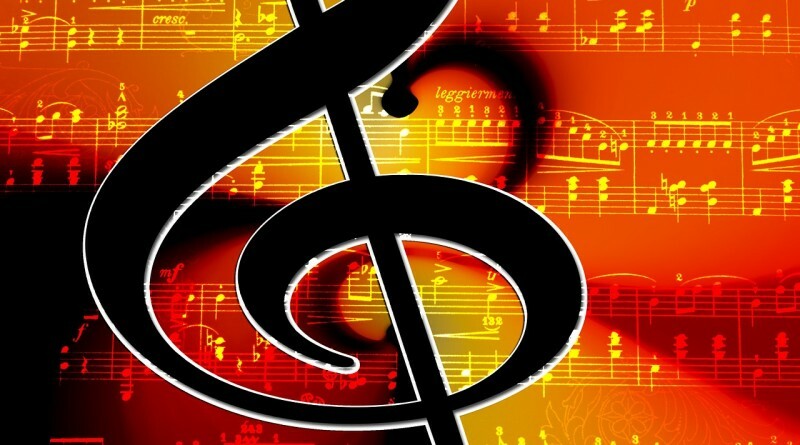 For example, in western music, instruments are normally tuned to A = 440 Hz. The other frequencies are called overtones of the fundamental frequency, which may include harmonics and partials. Harmonics are whole number multiples of the fundamental frequency — x2, x3, x4, etc. Partials are other overtones. 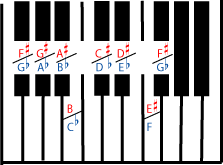 Most western instruments produce harmonic sounds, but many instruments produce partials and inharmonic tones. When the orchestral tuning note is played, the sound is a combination of 440 Hz, 880 Hz, 1320 Hz, 1760 Hz and so on. The balance of the amplitudes of the different frequencies is responsible for the characteristic sound of each instrument. This is used in FM synthesis. The fundamental is not necessarily the strongest component of the overall sound. But it is implied by the existence of the harmonic series — the A above would be distinguishable from the one an octave below (220 Hz, 440 Hz, 660 Hz, 880 Hz) by the presence of the third harmonic, even if the fundamental were indistinct. Similarly, a pitch is often inferred from non-harmonic spectra, supposedly through a mapping process, an attempt to find the closest harmonic fit. It is possible to add artificial ‘subharmonics’ to the sound using electronic effects but, again, this does not affect the naming of the note.William Sethares (2004) wrote that just intonation and the western equal tempered scale derive from the harmonic spectra/timbre of most western instruments. The timbre of a sound is also greatly affected by the following factors: attack or interonset interval, decay, sustain, release and transients. Thus these are all common controls on samplers. For instance, if one takes away the attack from the sound of a piano or trumpet, it becomes more difficult to identify the sound correctly, since the sound of the hammer hitting the strings or the first blat of the player’s lips are highly characteristic of those instruments. Timbre is often cited as one of the fundamental aspects of music. Formally, timbre and other factors are usually secondary to pitch. “To a marked degree the music of Debussy elevates timbre to an unprecedented structural status; already in L’Apres-midi d’un Faune the color of flute and harp functions referentially,” according to Jim Samson.Surpassing Debussy is Klangfarbenmelodie and surpassing that the use of sound masses. However, Robert Erickson argues that there are few regularities and they do not explain our “powers of recognition and identification.” He suggests the borrowing from studies of vision and visual perception the concept of subjective constancy. Watch “Fantasia” or “Fantasia 2000” together. Point out that many aspects of the music affect the images the artists chose: melody, harmony, rhythm, loudness, tempo (how fast the music is going). Timbre also strongly affects some of the choices. For example, in the Mickey Mouse/Sorcerer’s Apprentice sequence (in both movies), the reedy sound of the woodwinds is associated with the enchanted broomstick, while the more liquid sound of the string section is associated with water, and the crashing sound of cymbals turns into thunder and crashing waves. What other examples can the students spot of a particular sound color being associated with an image or character? To acquaint the students with the colors of specific instruments, take field trips to concerts where the students will be able to see which instrument is making which sounds. For students that are old enough or musically experienced enough to begin to learn the colors of all of the instruments of the orchestra, Britten’s Young Person’s Guide to the Orchestra is a great place to start. Many orchestras will feature this piece at a “young person’s concert”, and some of these concerts include an “instrument petting zoo”, a chance for the students to get up close to the instruments. For younger children, a performance or recording of “Peter and the Wolf”, which features fewer instruments, may be more appropriate. Older students who can recognize the timbre of most instruments may enjoy playing “name that instrument” with a piece of music that features many different instruments in quick succession. Some good choices for this game are Copland’s Rodeo, the beginning of Stravinsky’s Le Sacre du Printemps (“The Rite of Spring”), Beethoven’s Symphony No. 6, and Holst’s The Planets.